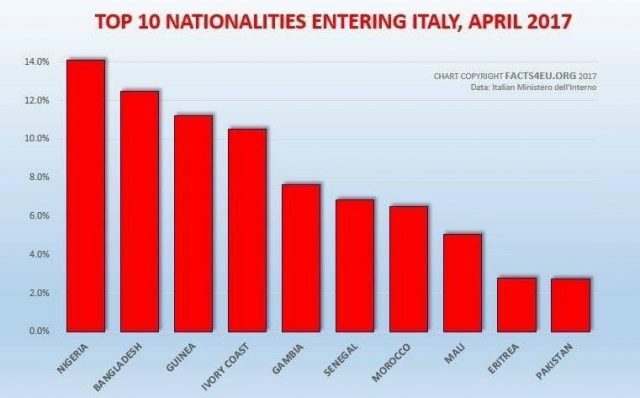 V4 Report: The fraudulent and fake “refugee crisis” in Italy. The real scandal of Dimitris Avramopoulos, Matteo Renzi and the UN-EU multicult network. Avramopoulos and Angela Merkel are trying to transform “illegal migration” into “legal migration” by including new countries from Africa and people in “refugee-like” situations in the new EU resettlement scheme. We will say it again. Brussels needs to be sent a direct and meaningful message regarding these new plans. Avramopoulos is challenging the authority and sovereignty of the nation states and he is in open conflict with Central Europe. The leaders of Visegrad, Austria and the other CEE states must publicly demand the resignation of Avramopoulos, who is clearly using his position to bail-out Greece and other Mediterranean states which have failed to secure the border and to deport the migrants out of Europe. There is just too much defense being played by Visegrad. It’s time to start putting the heat on some of these EU Ministers, such as Avramopoulos, Frans Timmermans and Vera Jourova. The “heart of their actions” are centered around the values of the “Open Society” network, not the best interests of Europe.